A very important part in having an aesthetically pleasing physique is the separation between the pecs. While being very highly sought after, this feature of a physique is found in only a select few gym-goers. Many individuals struggle with chest development and find that no matter how much they work chest, they have trouble gaining mass and getting this desirable separation between their chest muscles. Luckily, with only a few minor changes to an individuals program as well as the addition of certain exercises, the separation between the chest can become much more dramatic. Through this article, we will help you learn how to work inner chest and build a championship chest that will take your physique to the next level! What is the inner chest? Despite common misconception, there is no such thing as an outer and inner chest. The chest muscles are horizontal and are not vertical. There is an upper chest and a lower chest. 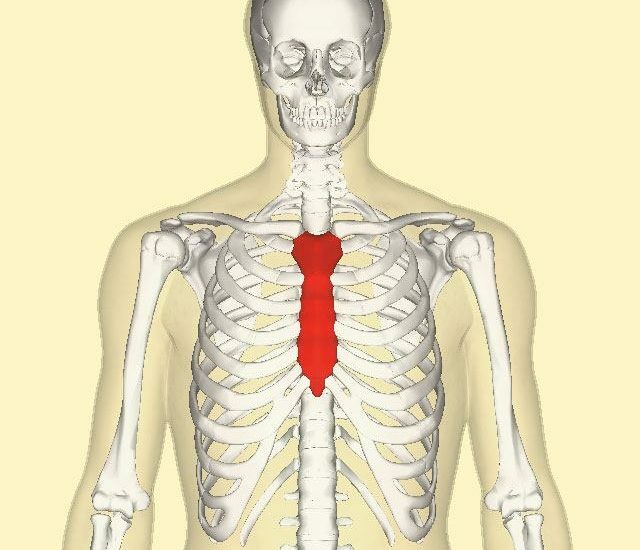 The inner chest is simply your sternum, which is the gap between your left and right chest. A thin sternum gap will result in a chest that has a very noticeable separation between the two pecs. Many people have a wide sternum, which results in a gap that is not tight, thus the inner chest cannot be seen. There are several reasons why people have large sternums. While some individuals are genetically prone to having large sternums, most people simply do not have enough muscle mass. This means that because they do not have enough muscle, the chest looks flat and thus there is no visible separation. Fortunately, through rigorous training and diet, almost anyone can achieve this desired look. What are the best exercises to develop the inner chest? These are some of the most popular exercises and are used by top bodybuilders to pack on serious mass and definition! This exercise is a great exercise to build mass in the upper chest. The upper chest, if well developed, can make the whole chest appear to pop. This is a highly desirable look that can make the gap between the chest very apparent. The incline bench press can be trained for strength at low reps or also in a higher rep range for muscular hypertrophy. The dumbbell chest fly is an amazing exercise that will build serious chest size and development. For this exercise, higher reps and lower weight are more effective. The bodybuilders of the Golden Era such as Arnold Schwarzenegger loved this exercise. No wonder they had some of the best developed chests in the history of bodybuilding! Try to go as low as possible and then come back up, squeezing the chest at the top. Hold it for a second and go back down for amazing muscle contraction! The close grip bench press is commonly used among gym-goers as a tricep exercise. However, this exercise is also great for building chest size and mass. This exercise works both the upper and lower chest effectively and can also be trained for both strength or hypertrophy. The cable crossover with the pulley machine is a very effective exercise for building size and definition to your chest. Working on the cable crossover from a low, middle and high pulley will hit your chest from several different angles which will be highly beneficial to your overall development. This exercise is meant to be done at high reps with light weight. Focus on the pump and squeezing the muscle at the peak of the movement. Machines should not be totally relied on to develop a physique, but together with heavy free weights, they can be highly beneficial. After lifting very heavy on the bench press, the hardest part of working chest can be racking and un-racking extremely heavy weights. Your central nervous system becomes tired after long and strenuous workouts. In these instances, machine chest press can be very helpful because they will allow you to further blast your chest after difficult and strenuous compound exercises. The bench press is the most popular exercise of all time and for good reason! This exercise is so versatile and is an absolute must in order to build chest size. Try building up to 225 lbs for reps and see if you still have a small chest. It is highly likely that when you can bench that much weight, your chest will be large, defined and have a very apparent inner chest. Dips are an amazing exercise for sheer strength and muscular gains. 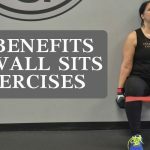 They are a very challenging exercise and can even be more difficult than exercises with weights. Try to dip your bodyweight to failure and increase the amount of reps you can do each time you workout. Bodyweight exercises are highly effective and work out your entire body. Dips in particular, focus on your chest, shoulders and triceps. Read more: What Muscles Do Dips Work? Should I focus more on low reps or high reps? To maximize muscle growth, you should focus on both strength training and hypertrophy workouts. Exercises like the bench press, incline bench press, dips and close grip bench press at low reps will build the size and foundation for your chest. Furthermore, they will develop strength that will help you handle higher weights. Exercises like cable crossovers and dumbbell flyes will not get you jacked. However, in conjunction with heavy training and a solid development from compound exercises, the chest isolation exercises will definitely cause more muscle growth as well as emphasize the inner chest that you are looking for. How often should I train chest? If chest definition and size is what you’re looking for, we suggest you workout chest three times a week. This will allow adequate muscle breakdown and recovery which will help you grow at the most optimal rate possible. It may also be beneficial to include several heavy strength days as well as a few higher rep pump training days. Hitting the chest from both perspectives will help you max out your gains. Building the inner chest is simply a matter of packing mass in the chest as well as utilizing high rep pump training to further grow your pectorals. Gaining overall mass will be very beneficial to those who struggle with no-chest-itis. By working on incline bench press, dummbell chest fly, close grip bench press, cable crossover, machine chest press, bench press and dips, you will be on your way to maxing out your chest gains. Now you know how to work inner chest, make sure you train hard and eat right! How Often Should I Work Out My Chest? What Muscles Do Dips Work? 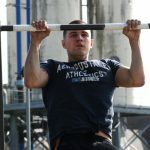 Upside Down Pull Ups – Do You Want To Try? "This Book Will Show You Exactly What You Need To Do To Get Started Improving Your Health And Fitness!" Best Quiet Treadmills – Do Not Buy Until You Read This! Spinning vs Running – Which Workout Is Better For You? How Much Water Should You Drink With Creatine? Fitnessapie.com is a participant in the Amazon Services LLC Associates Program, an affiliate advertising program designed to provide a means for sites to earn advertising fees by advertising and linking to Amazon.com. Amazon, the Amazon logo, AmazonSupply, and the AmazonSupply logo are trademarks of Amazon.com, Inc. or its affiliates. Additionally, Fitnessapie.com participates in various other affiliate programs, and we sometimes get a commission through purchases made through our links.